Offers available for select sailings departing June 16 - Dec 31, 2019 ; call 1-800-377-9383 for pricing and availability. 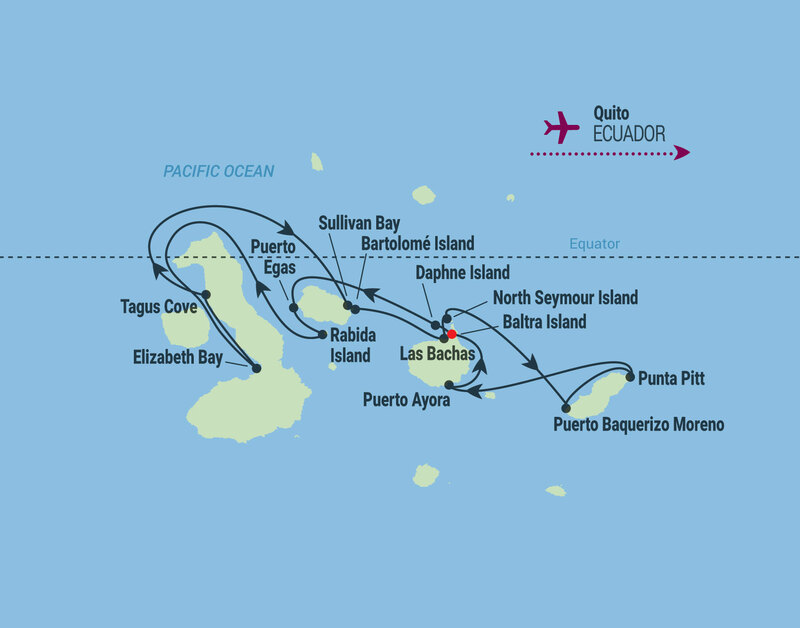 * Prices are per person, for select sailings and based on double occupancy. Cruise must be booked by 06/05/2019. 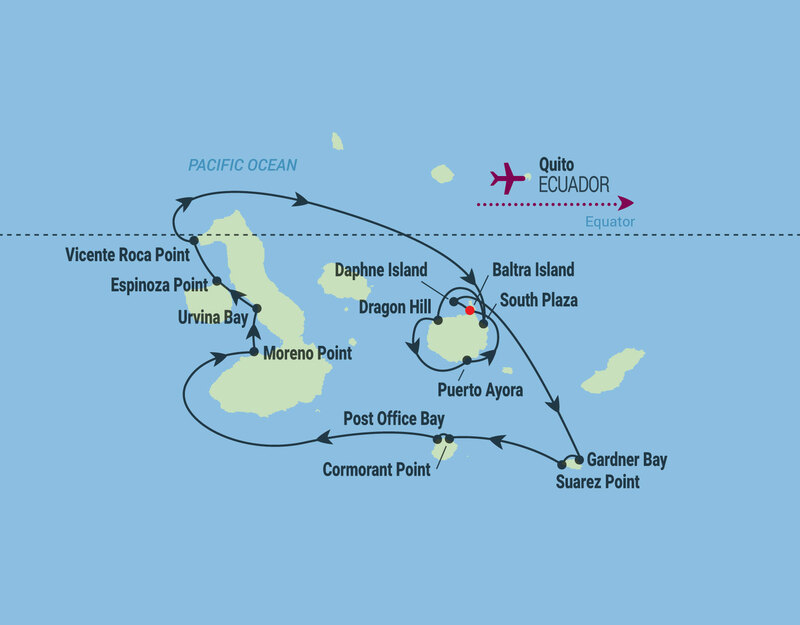 Offer applies to select 10- and 11-night Galapagos cruise and cruise packages aboard Celebrity Flora, departing between 06/16/19 and 12/31/19 ("Galapagos Cruise Package"). Offer includes half off a second guest cruise fare with the purchase of first guest cruise fare at full price, plus economy or business class round trip airfare valued at up to $3,000 per suites, including air taxes and fees, departing from US or Canadian gateways, booked via Flights by Celebrity. Air must be booked via Flights by Celebrity within 120 days of cruise booking or before final cruise payment is due, whichever occurs first. Offer is per person, for new individual bookings, subject to availability, may be withdrawn at any time without notice, subject to change without notice, capacity controlled, non-transferable, and not combinable with any other offer. Offer applies to round-trip air travel to/from U.S. and Canadian gateways. Guests in the same stateroom may book different flights. Guests with independent air arrangements may choose a $1,000 per person cruise fare savings instead of airfare via Flights by Celebrity. Cancellation of Air Tickets: Air tickets may be purchased on a non-refundable or refundable basis and are each subject to the cancellation terms of the applicable airlines and Flights by Celebrity. If a non-refundable air ticket is cancelled, the amount of the air ticket will be added to the reservation to be covered by the guest known as "Offer Credit Recapture." If air tickets are purchased on a refundable basis, the Offer Credit Recapture does not apply; additional agency service fees may apply. Single occupancy guests paying 200% cruise fare are eligible for Offer and will qualify for air fare valued at $1,500 or $2,000 cruise fare savings. Offer open to residents of the United States or Canada. Celebrity reserves the right to cancel the Offer at any time, correct any errors, inaccuracies or omissions, and change or update fares, fees and surcharges at any time without prior notice. Additional restrictions may apply. Ships' registry: Malta and Ecuador. Please contact The Cruise Web at 1-800-377-9383 for full terms and conditions. The Cruise Web is not responsible for typographical errors or omissions.